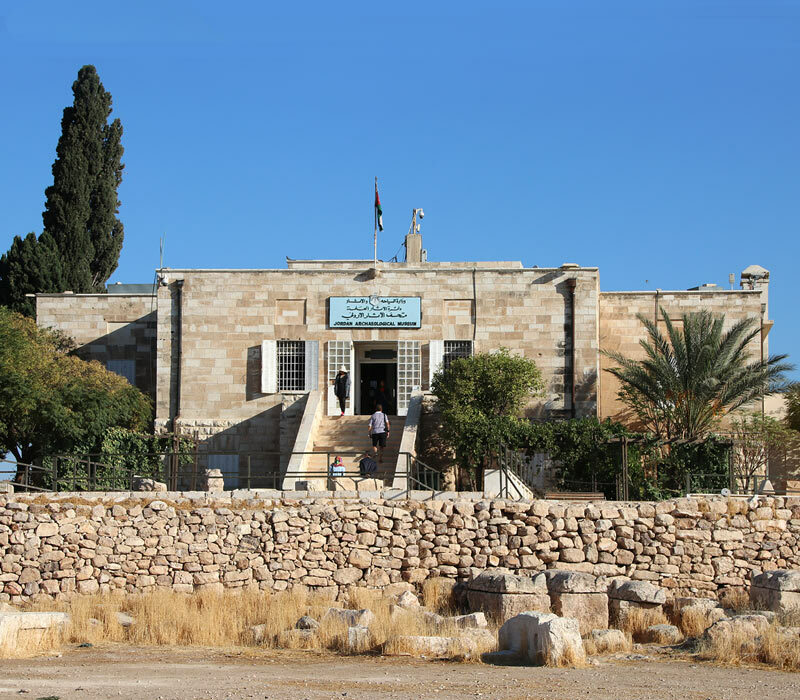 The Jordan Archaeological Museum was established in 1951 on the Citadel Hill in Amman. The place was chosen in order to have the actual ruins of the Roman, Byzantine and Arab Citadel part of it. The museum houses artefacts from different archaeological sites of the country, from the Paleolithic to the Islamic Era. The collection is arranged in chronological order and includes pottery, glass, flint and metal tools, inscriptions and statuaries, jewellery and coin collections. While some important objects that the Archaeological Museum used to house are now exhibited at the Jordan Museum, highlights still on view are: Statues from Ain Ghazal, among the earliest known large-scale human figures, dated to approximately 8700 - 8500 years ago; Neolithic plastered skulls from Jericho; huge anthropomorphic sarcophagus from the Iron Age found in Amman; the Nabataean fish-goddess from the temple of Khirbet et-Tannur, and the Tyche of Amman, the white marble bust of the protector of Roman Philadelphia. 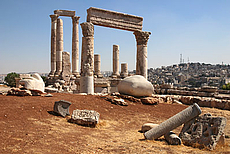 Open-air museum, with archaeological remains of Ammonite, Roman, Byzantine, Umayyad periods, and magnificent views of Amman.